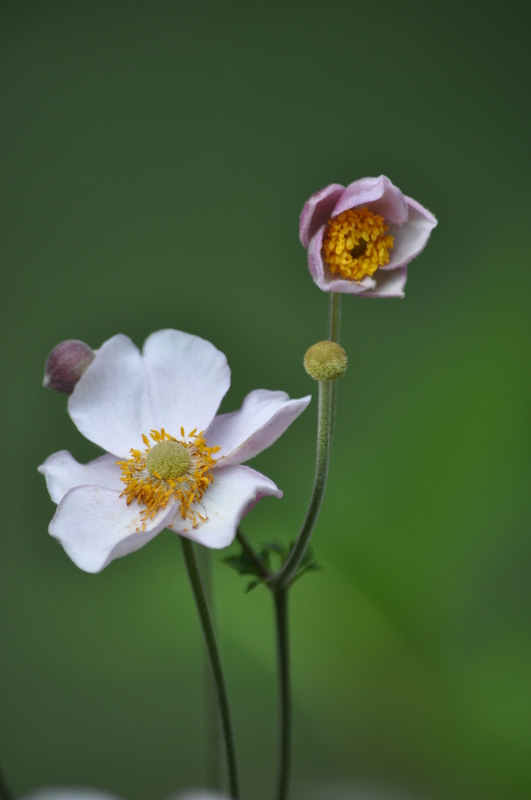 Peeking out through the grasses is a small clump of Japanese Anemone. Not a native species, but a welcome addition in this urban patch of prairie. Copyright 2018 Pamela Breitberg.